Crowdfunding is a great new way for entrepreneurs to access capital and there is no better place to learn about crowdfunding than at the 3rd Annual Global Crowdfunding Convention in Las Vegas. 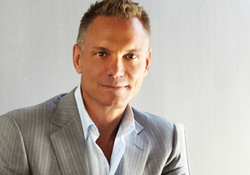 Kevin Harrington, best known as the "Inventor of the Infomercial" and one of the original "Sharks" on television's "Shark Tank" will give the keynote address at GCCB2014 (The Global Crowdfunding Convention and Bootcamp) on Friday, October 24, 2014 in Las Vegas, Nevada. Harrington's featured appearance at this prestigious event marks his formal entrance into the $5.1 billion global crowdfunding industry. "I encourage everyone who is struggling to raise capital to come and learn from crowdfunding industry leaders," Harrington said. "Crowdfunding is a great new way for entrepreneurs to access capital and there is no better place to learn about crowdfunding than at the 3rd Annual Global Crowdfunding Convention in Las Vegas." In the past 30 years, Harrington has launched several products that have sold more than $100 million each and is responsible for more than $4 billon in sales worldwide. He's the co-founder of the popular Entrepreneurs Organization and authored the book Act Now: How I Turn Ideas Into Million Dollar Products. Harrington's track record of infomercial success includes selling $1.7 billion of Tony Little exercise products, more than $1 billion in sales of the Jack Lalanne Juicer, and iconic products from the Ginsu Knife to the George Foreman Grill. Harrington formed a joint venture company with The Home Shopping Network and became CEO of HSN Direct International Inc. Harrington founded Quantum International, Ltd. in the mid-80s, which merged into National Media Corporation and under his leadership, reached $500 million in annual sales, with distribution in over 100 countries and 20 languages. Harrington's latest venture FundHub.Biz assists businesses and individuals with crowdfunding compliance and will be a major player in the upcoming equity crowdfunding industry. The three-day Global Crowdfunding Convention and Bootcamp is the flagship event for crowdfunding and will attract professionals and start-up experts from around the country to learn, collaborate and network. "GCCB brings together the best minds in crowdfunding with people in all fields of work and study," says founder Ruth E. Hedges. "This conference is about connecting the right people at the right time to create and foster innovative ideas to build business and create job growth." GCCB attendees will hear from over 50 speakers, including entrepreneurs and crowdfunding experts. GCCB was founded by Ruth E. Hedges, one of the leaders behind the JOBS Act and Global Crowdfunding Day. The Global Crowdfunding Convention and Bootcamp will be held October 23-25 at the Westin Resort and Spa in Lake Las Vegas, Nevada. To register for the conference, visit the website at http://www.crowdfundingroadmap.com/bootcamp/. There are two different ticket packages currently available- The full three-day event ticket is $750.00; there is also a package for active crowdfunding projects that costs $1295.00 and includes a chance to pitch your idea to the GCCB participants. The last day to register is October 21.